From 2 January 2013 until 31 January 2015 an EFRD-project ran at the Erasmus University College of Brussels. The aim of the project was to help potential entrepreneurs (pre-starters) create a physical and/or multimedia prototype. We reached out to 100 starters in the make- and creative industry. Out of this program 10 start-ups were created! The funding allowed us to expand our Brussels fablab and establish an additional multimedia lab. 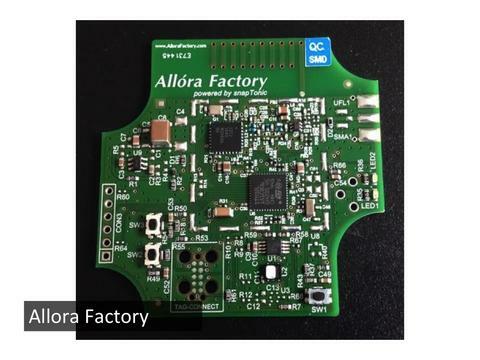 Allóra Factory develops custom long range sensor/actuator applications. This company utilized our PCB infrastructure to develop and test some prototypes. Altnova manufactures entry gates, balconies and railings in wrought and cast iron, either as a new design or a replica of a historical masterpiece; in all instances made-to-tailor. Restoring of historical ironwork is one of the firm's specialties. Any such project will be handled with care: inspection and documentation of current status of ironwork, the reproduction of missing parts or the making of complete replicas according to the original, the pertinent anti-corrosion treatment & paint finishing, the finishing touch using classical patinas. 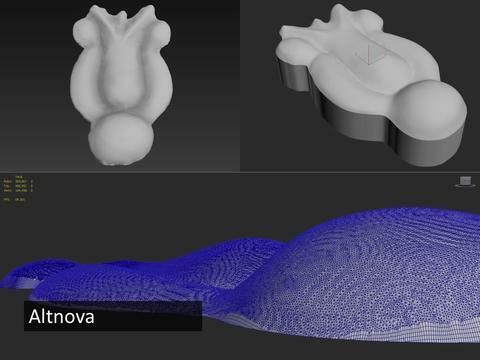 Altnova used our 3D scanner and 3D modelling expertise to speed-up the time needed for restoring old ornaments. 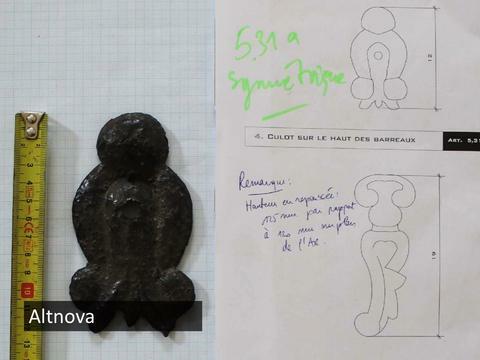 The ornaments were 3D scanned first, and then our 3D modelling expert created digital models based on this scan and very old drawings and pictures. With his passion for women's feet and -toes Bart Persoons devised an exclusive and also personal art object, namely the toe shoe. The "toe shoe" is the ultimate work of art for any fashionista in search of the most unique shoe. The artist symbolises the woman's personality, her unique identity in an original artwork. Bart came to our lab with the idea of creating an ice cream in the form of a foot ;) So, that’s what we did! 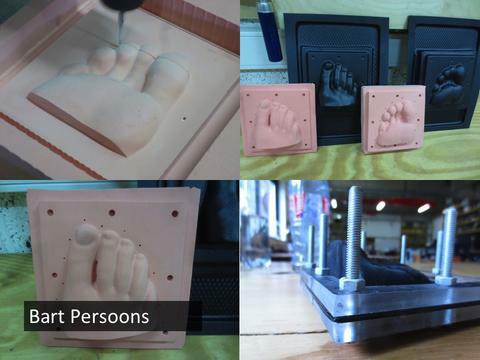 We scanned one of his foot models, and created a 3D model that was CNC milled, to create the final mold. The guys from Beyond.io, a cool research and design lab in Antwerp, came to our lab to make use of our CNC milling machine and electronic workbenches to create the fantastic X-II. 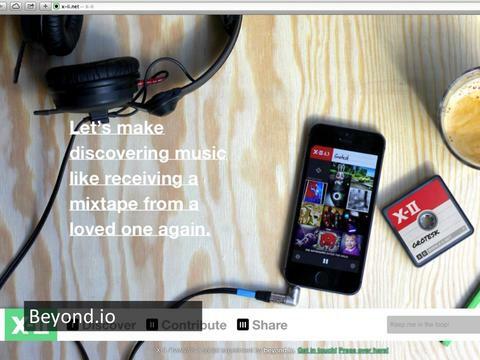 X-II is a fresh look on how people share and discover music in these days of digital abundance. It’s a combination of a “connected” mixtape-like object and a special app. X-II’s design includes purposeful limitations while still taking full advantage of all the possibilities of digital sharing. Raz is a supercool first year engineering student and fablab addict. My former colleague David Molenberghs, a seasoned 3D artist and teacher at RITSC university college, frequently experimented with all our 3D printers for different projects. 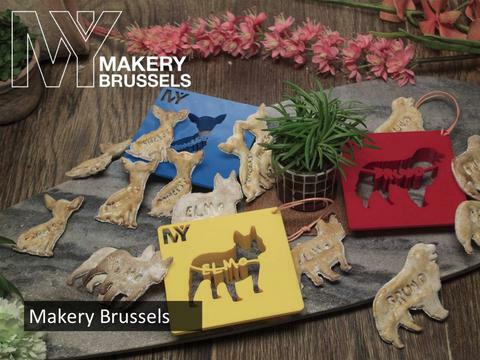 On of his projects lead to Makery Brussels, a start-up that offers custom cookie cutters for dog treats. Yes, the cookies are for your dog! 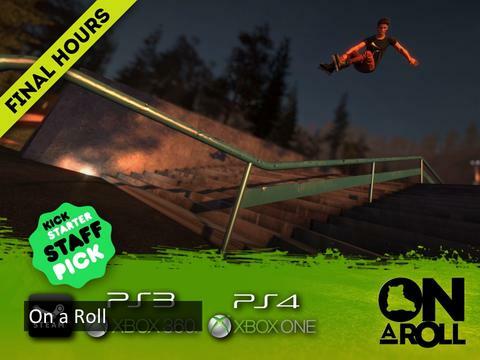 The much anticipated rollerblading game On A Roll has found its way to Steam and Kickstarter. 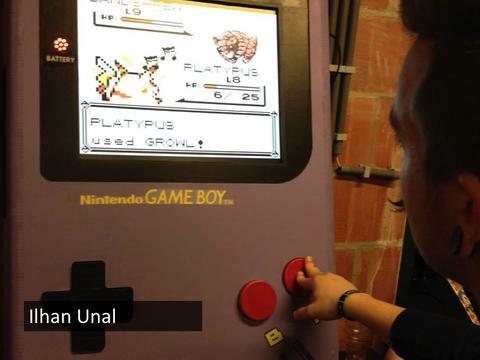 But did you know that this promising video game has mainly been a one-man project until now? Coding, modelling, animating, texturing… Developing a video game requires a broad skill set and lots of experience. The man behind On A Roll, Jelle Van den Audenaeren, has done all of this work by himself. What started out as a spare time project quickly expanded, with close to 11k Facebook followers and a Steam GreenLight campaign that launched into the top 100 in just a few hours. 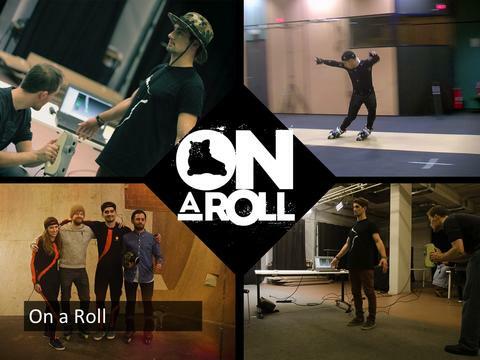 Jelle made use of our multimedia lab with 3D scanner and mocap-equipment to model and motion capture some of the most amazing rollerblading tricks for his game! Pieter-Jan Vandendriessche was one of our first clients in this project. He was working on a prototype for a Delta-type 3D printer and needed access to a lasercutter and a milling machine to create some parts. 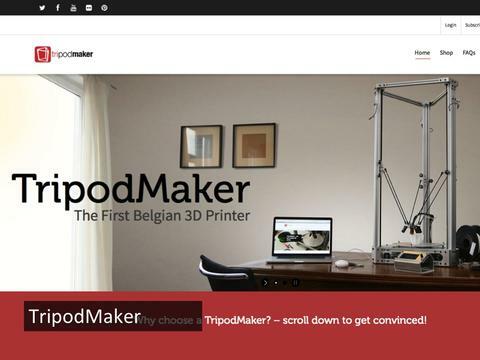 In August 2013 he started his own company, TriPodMaker, and in November 2015 they launched their brand new Tripodmaker Black Edition and a cloud-based slicing software - PRISMA! 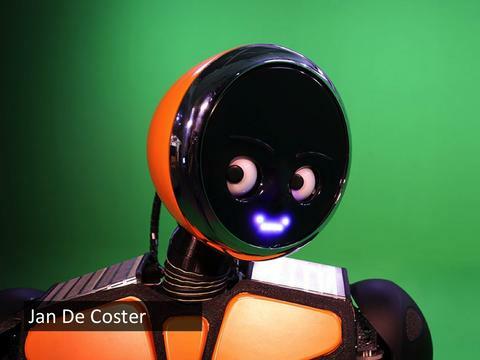 My good friend Jan De Coster, Slightly Overdone Studio,explores the boundaries of Human-Robot Interaction, with contemporary character design in sentient, social and empathic machines. He created tons of fantastic interactive installations, and a great and growing family of robots! Last but not least, also this company came out of the FabLaBXL program! Stijn De Mil, fablab manager for fablab Brussels and fablab Erpe-Mere, was the project coordinator for FabLaBXL. He saw the immense potential of fablabs, not only in an entrepreneurial context, but even more in an educational and social innovation context. And that is why he started FabLab Factory ..